“Lady Hawksworth, your husband is not dead.” With those words, Lara’s life turned upside down. Hunter, Earl of Hawksworth, had been lost at sea. Or so she’d been told. Their unhappy marriage - with its cold caresses and passionless kisses – was over. But now a powerful, virile man stood before her, telling secrets only a husband could know, and vowing she would once again be his wife in every way. Where it all begins, written so many years later..
Lady Amanda Locke has struck out miserably in her two Seasons on the marriage mart. Beautiful, titled, and charming - even if she does talk a bit too much - Amanda doesn’t understand why love eludes her. Even her father, the Duke of Norford, is so perplexed he is prepared to take drastic measures to ensure his daughter’s happiness. Now, as Amanda begins her third Season, she gets a little help from Cupid, a darkly handsome horse breeder whose knowledge of basic animal attraction has guided him in arranging more than a few successful matches between the young ladies and gentlemen of the ton. Hired by Amanda’s family, Devin Baldwin produces results for Amanda and soon she is happy to be courted by one of his clients, the dashing Viscount Altone. In order to secure Amanda’s match to a nobleman obsessed with horse racing, Devin must teach Amanda how to overcome her fear of horses. But as Devin shows her the joys of riding, hunting, and racing, will their own hearts run astray as Amanda finds herself falling in love with Cupid himself? ©2012 Johanna Lindsey (P)2012 Brilliance Audio, Inc. This is not fast paced book at all which makes it good to listen to while cleaning, gardening, or any hobby you enjoy. It was an nice story that did keep my interest - it was just more slower paced than I'm used to. I still would recommend this book because the price is very reasonable. So for the price....I'd say give it a try. This was an entertaining light read but I could not get past the narrator's reading style which was comically overdramatic at best and eye-rollingly annoying at worst. This series of 4 books [so far] is lovely, but I must admit that I like the 2 center books in the series better than the first book or this last book. I honestly think this was too similar to the plot of Ophelia's as well as another one of the A Malory series. can't quite remember what one. however still I good one. I enjoyed the story of Amanda and Devin and her desire to find true love. There were mild twists and turns... no earth shattering surprises. I also liked the connection Amanda and Devin found in each other. The narrator was awful and I wish the author would have kept Laural Merlington for the entire series. I have most of this authors books, I believe this one has become my favorite. the characters are likable and the story held my interest throughout. But I hate a story that seems to end if five pages after a long drawn out book. The narrator was not good in my opinion. It wasn’t until the end when I realized that she was American that I’m guessing why some of her pronunciations were so off. I’m an American who lives in England. So her mistakes were glaring. The upper class to this day do not use terms that make them sound common. Johanna Lindsey does it again. A masterful, sad tale of how family and friends can work toward a wonderful goal. 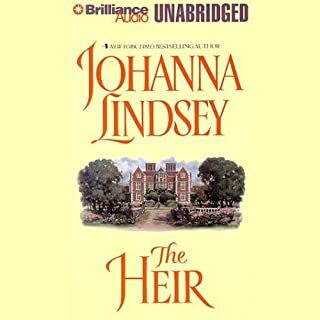 The story was wonderful but I have been a Johanna Lindsey Fan for years,. My only issue was with the performance, it was not enjoyable. I often found it irritating and the accent fake. Please use a different performer for Johanna Lindsey books As I am sure I will be listneing to others unless I see this readers name attached. Great on all counts. The narrator was excellent. Are there sequals to this story? A triology perhaps? 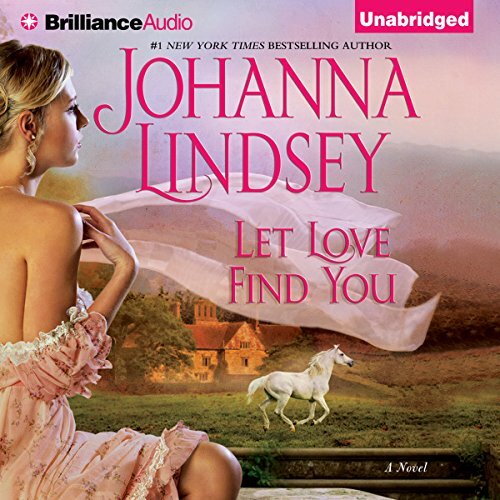 Where does Let Love Find You rank among all the audiobooks you’ve listened to so far? listen once and enjoy, not something to revisit but still good. Which character – as performed by Anne Flosnik – was your favourite? What did you like most about Let Love Find You? What was one of the most memorable moments of Let Love Find You?